Day 68. 5th September. 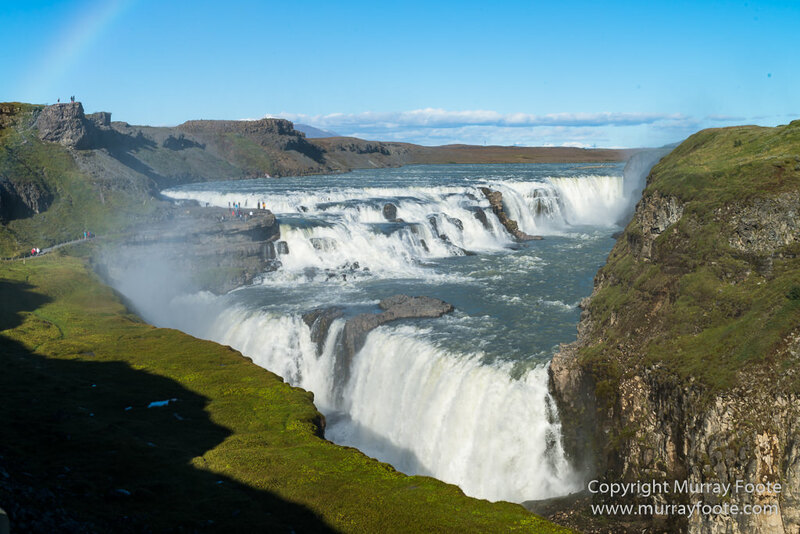 Gulfoss and Geysir, South Iceland. 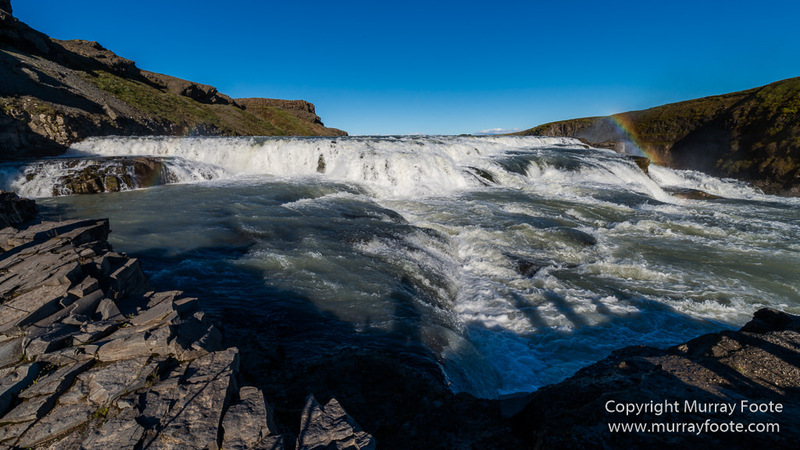 It was the afternoon of the last day of my circumnavigation of Iceland in a two wheel drive campervan before having to return the vehicle and I’d been running out of time for a while. I had intended to visit the historic island of Heimaey, where Irish monks lived before settlers arrived from Norway in 900, where Arab pirates raided in 1627 and where when the volcano Edfell erupted in 1973. The townspeople sprayed the encroaching lava with water to solidify it, thereby saving the harbour and the town behind a lava wall. Perhaps I could have taken a boat trip just south-west of Heimay to Surtsee, the volcanic island that rose from the sea between 1963 and 1967. 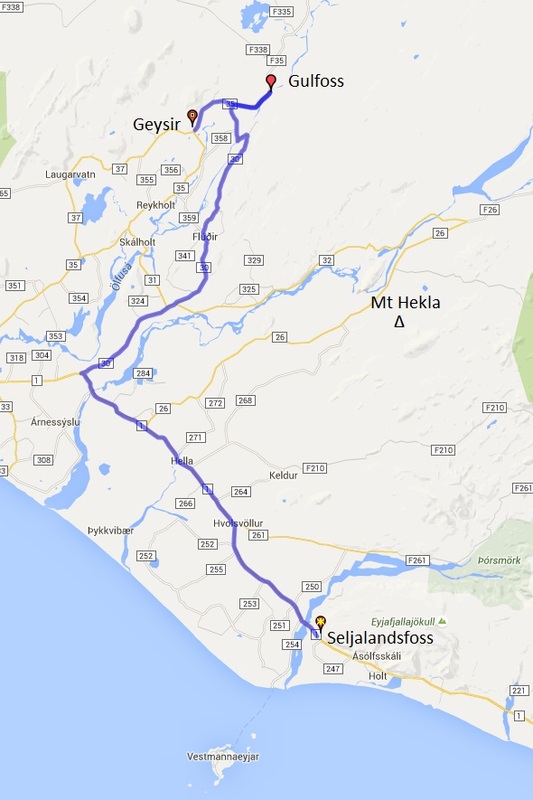 Further on in my route for the afternoon, I also passed up on Keldur Turf House, Gjain scenic valley, Stong historic farm and Faxi waterfall. 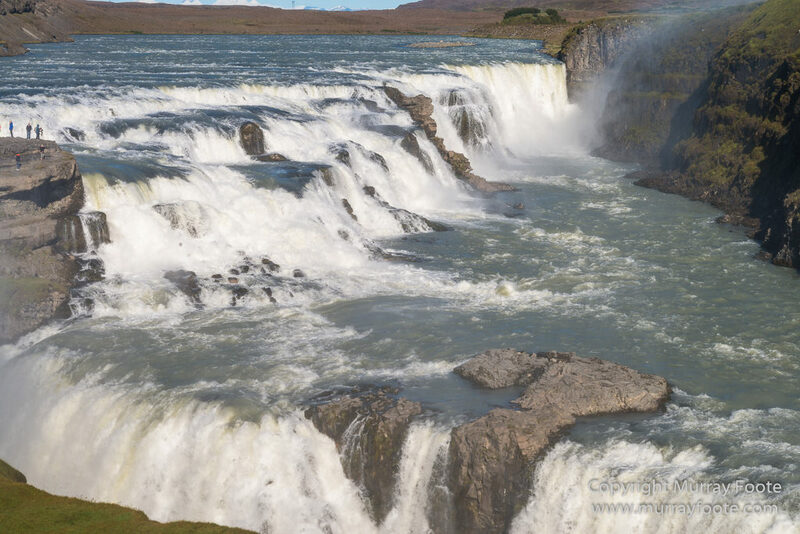 But I did have time for Gulfoss and Geysir. 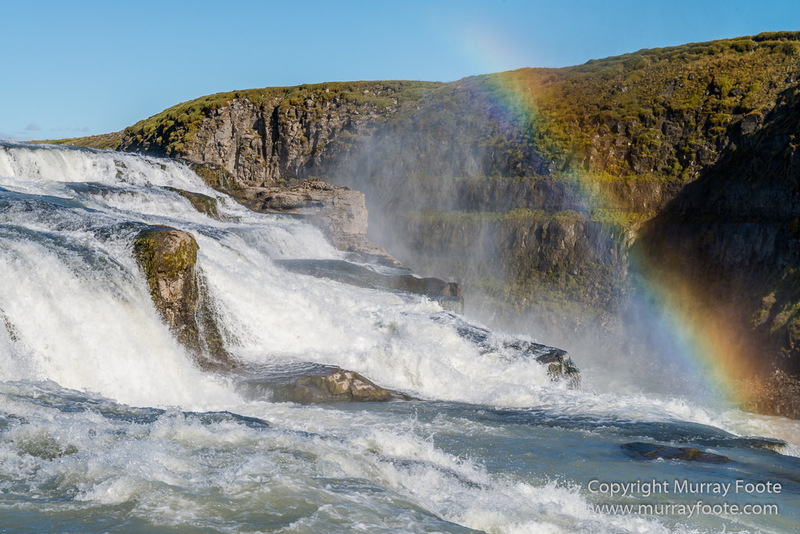 This is taken somewhere along the main south road between Seljandsfoss and the turnoff to Geysir. 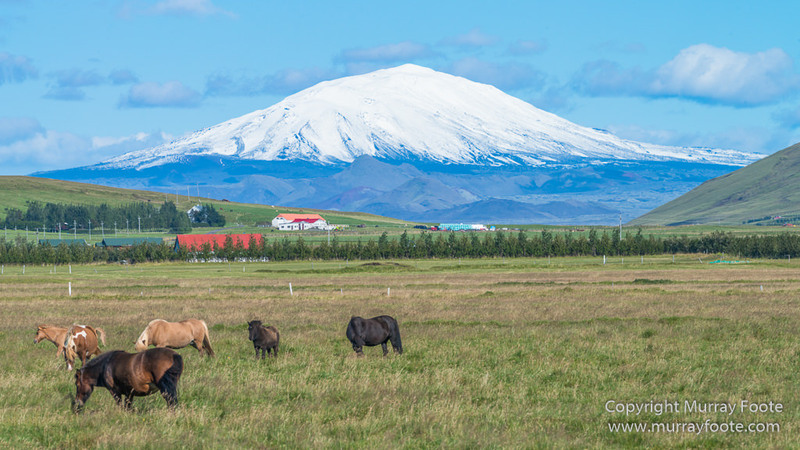 The mountain in the background is Hekla, one of Iceland’s most active volcanoes, with some very large prehistoric eruptions. 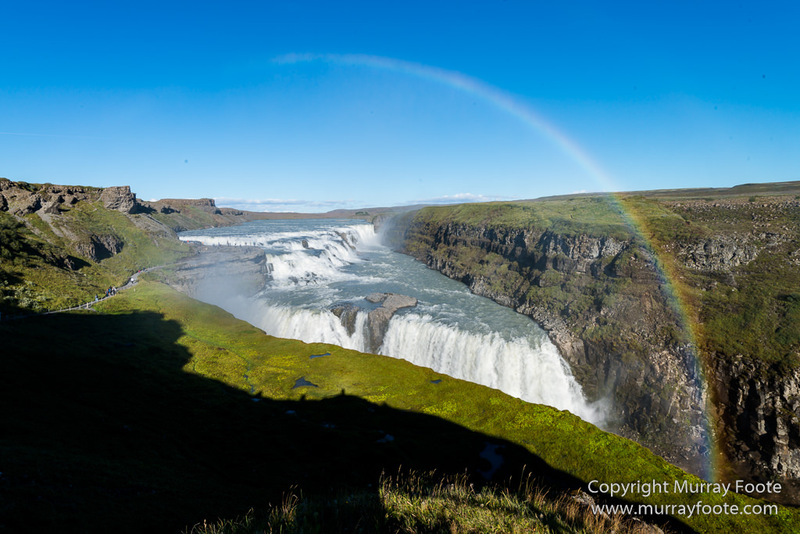 This and following images are of Gulfoss, or Golden Falls. The river is crossed by a canyon wall, which is hidden until you approach closely. Just down the road is a place with this curious little circle of water, which is fenced off. 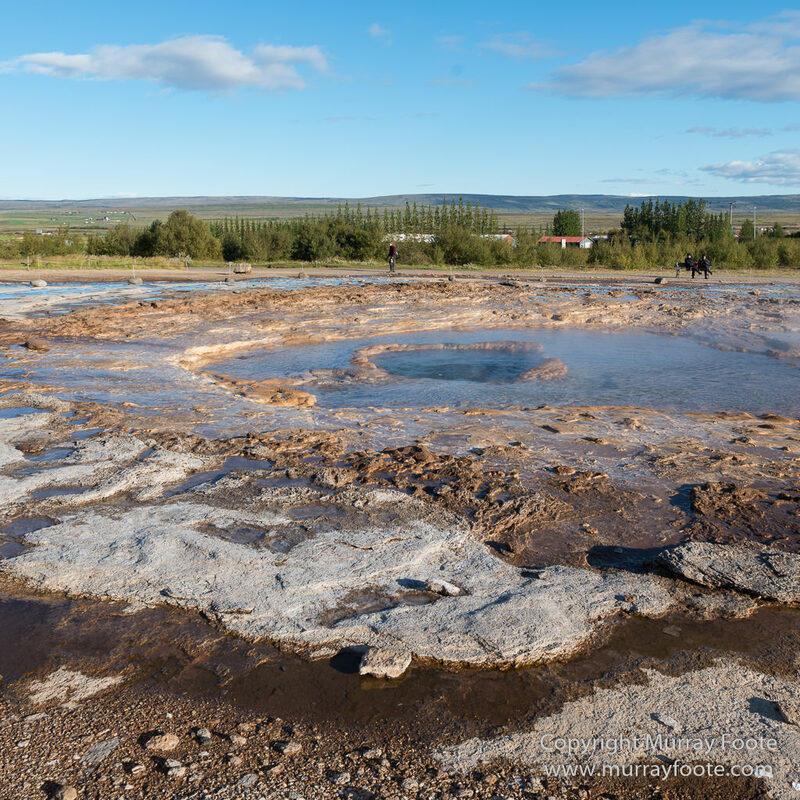 This is the thermal area of Geysir, which lent its name to geysers all around the world. 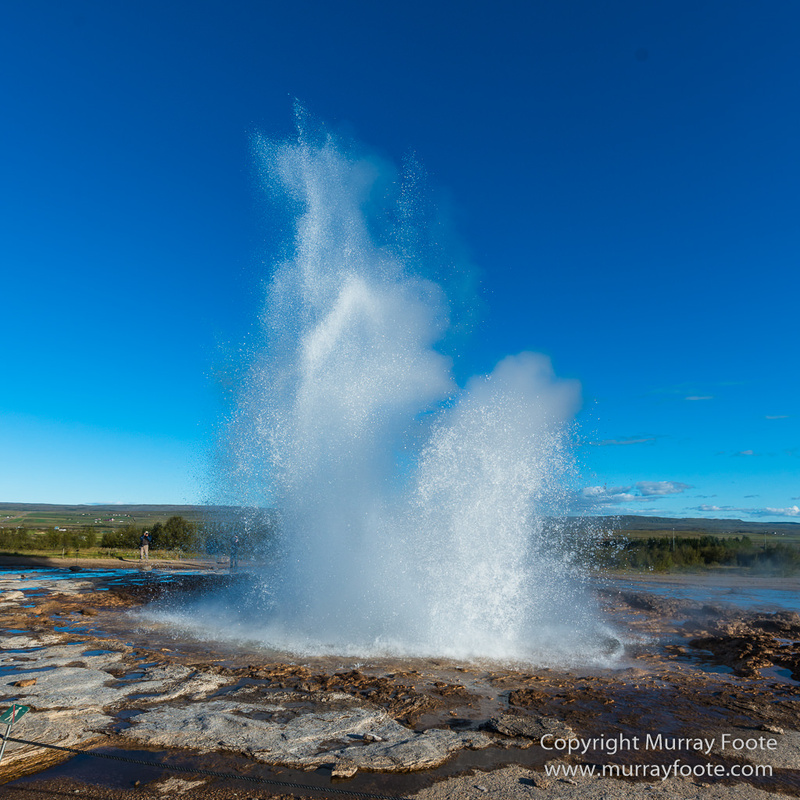 The largest geyser here, Great Geysir, can spurt up to seventy metres but it is infrequent and sometimes quiescent for years at a time. 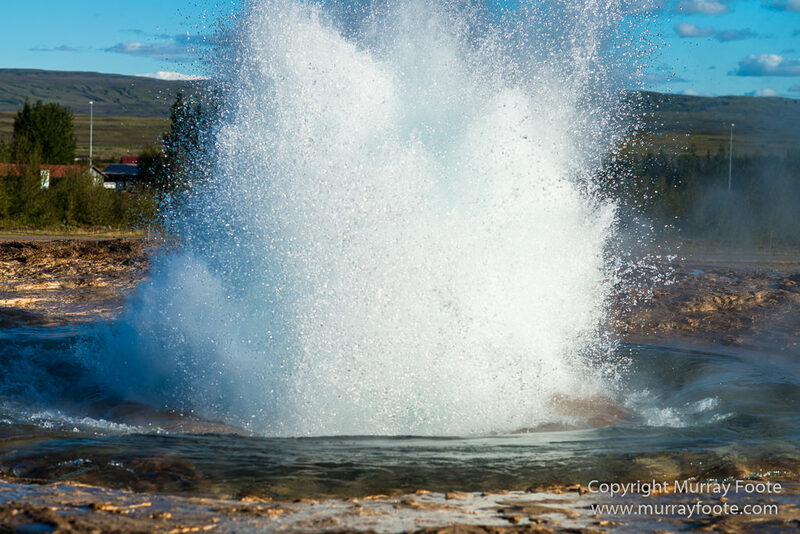 The geyser in all these images is Strokkur, which erupts every few minutes to a height of up to thirty metres. 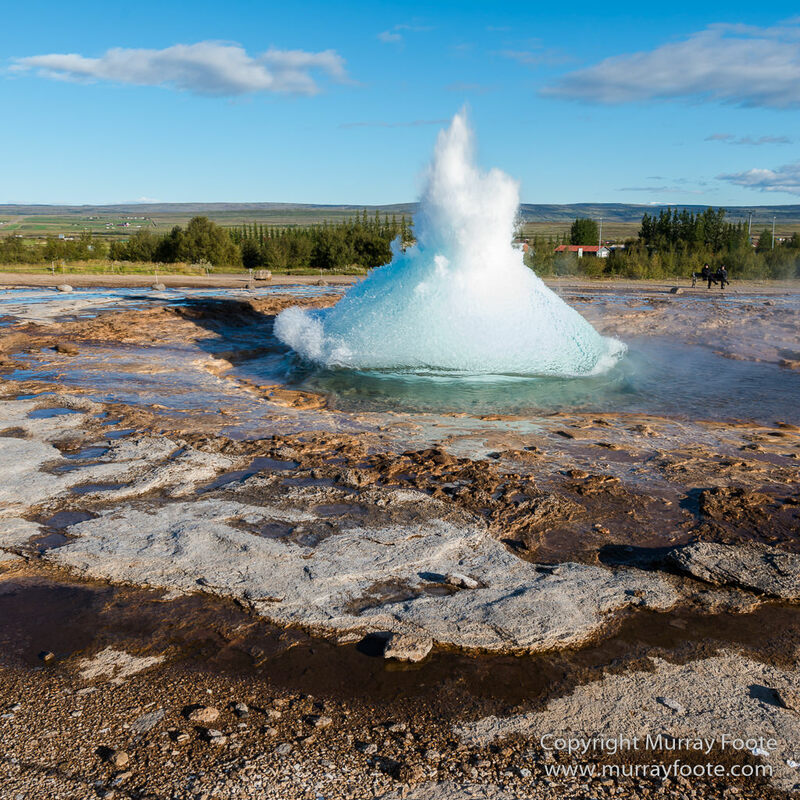 Most images of a geyser described as Geysir are in fact Strokkur. Pohutu in New Zealand spurts at thirty metres around twenty times a day. 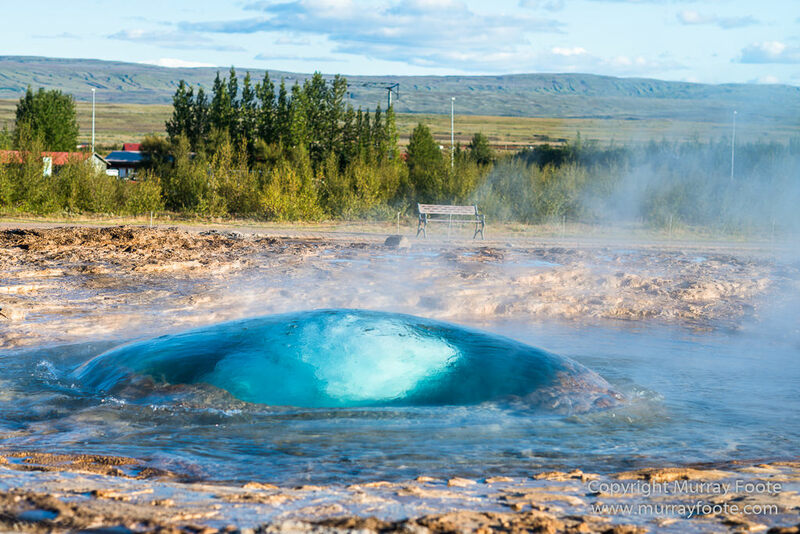 I remember it though as much larger than I saw Strokkur. 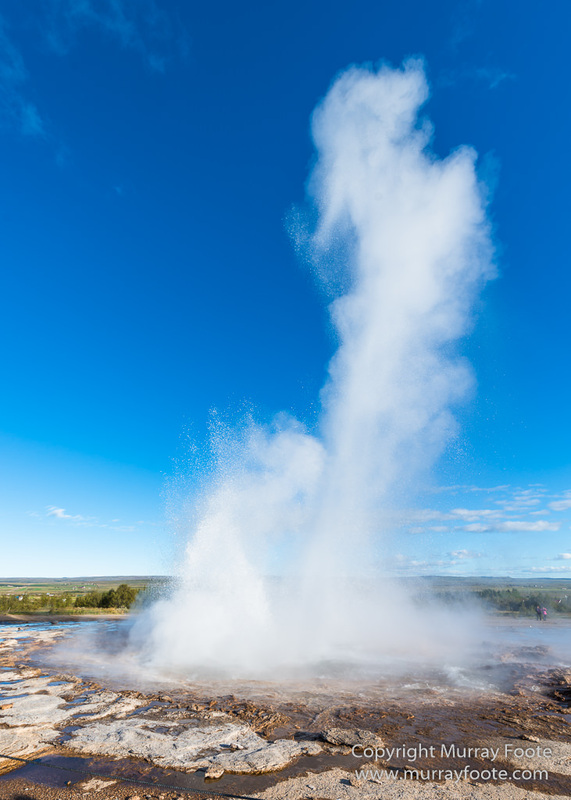 Waimungu Geyser in New Zealand was the largest recorded, reaching 460 metres in height from a blow hole two metres in diameter. It blew from 1900 to 1904, a consequence of a fissure created by the the 1886 Mt Tarawera eruption. OK, now here we go. This was difficult to catch. Observe the great bulb of water that has yet to burst and the boiling water thundering up within. And as it goes up, it creates little waves in the pool. 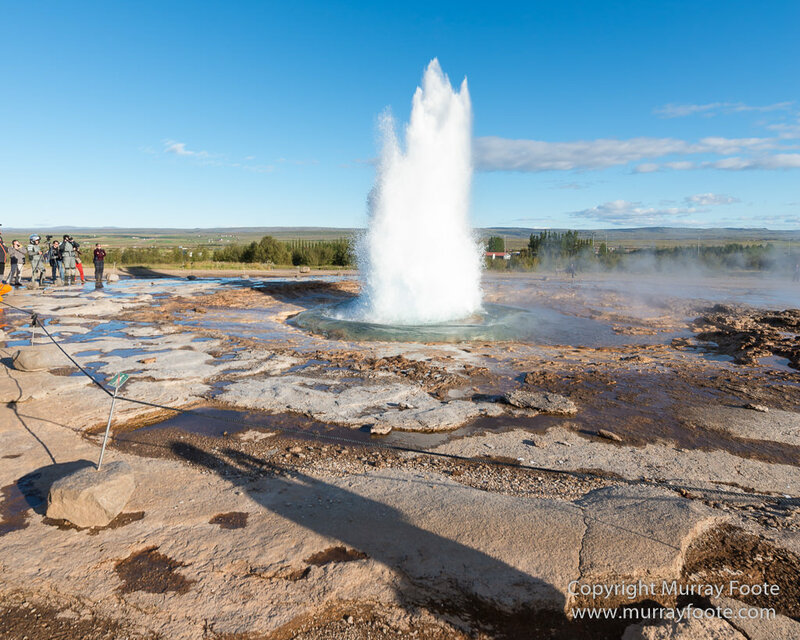 This entry was posted in Iceland and tagged Geyser, Geysir, Gulfoss, Hekla, Iceland, Landscape, Nature, Photography, Travel, Waterfall, Wilderness. Hekla certainly makes a spectacular backdrop. 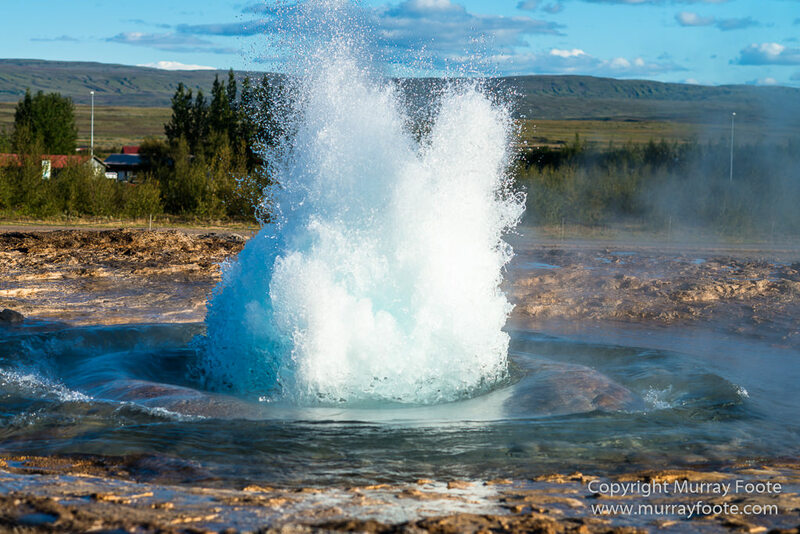 Wow, great job on the geyser. I was never able to catch it very well. Probably a fair amount of luck involved to catch that bubble. It’s very fleeting! 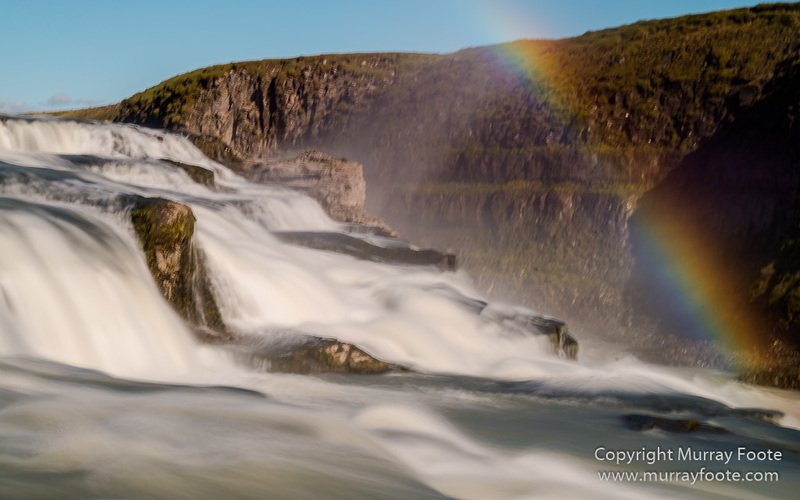 Brilliant to see two versions of the same waterfall, long and short exposures, because I’ve gone off long exposure water shots. 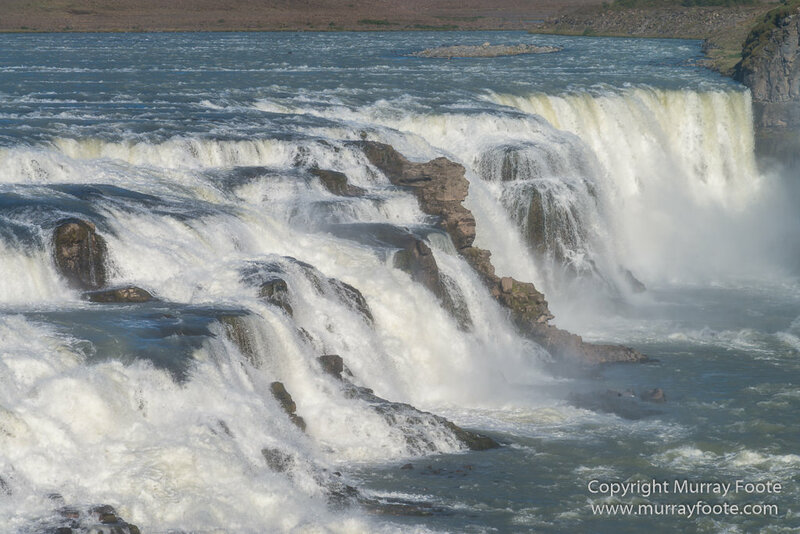 I think waterfalls look much more dramatic frozen in a photo, and you can feel their power.